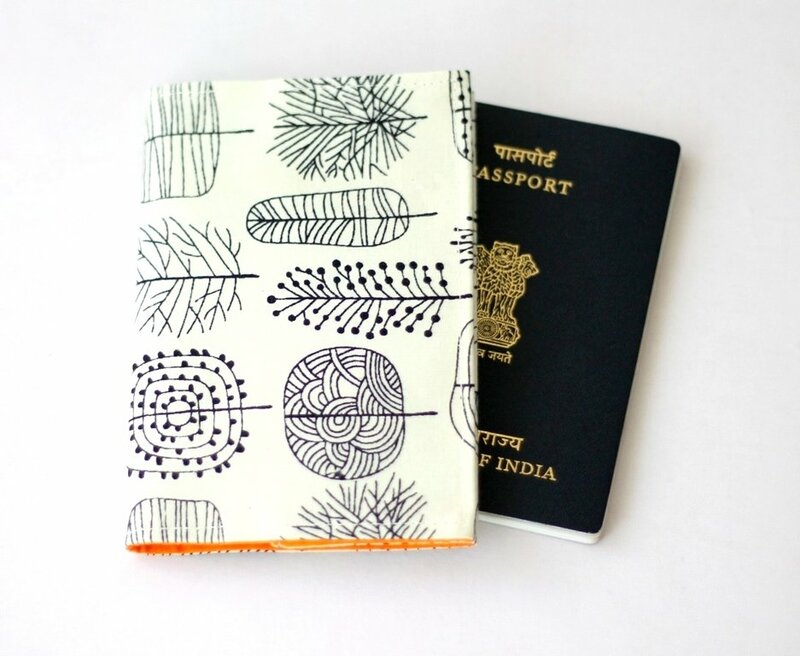 Protect your passport with this unique tree print fabric passport cover while traveling. Sleek and Slim passport sleeve that can easily be tucked inside your purse. - Fabric: Off white and black block print cotton fabric.